The Department of Water and Sanitation briefed the Committee on the status of bulk water tariffs processes for 2018/19. The Department informed the Committee that in September and October 2017, the Department had conducted pre-tariff consultation sessions with the Water Boards, after which the Water Boards had consulted with municipalities, and SALGA and National Treasury were involved. All Water Boards had submitted their proposals to the Minister by 25 January 2018. The country faced a devastating drought which had disadvantaged everyone. The shortage of water had inflated the prices of food but had not reduced the fixed costs of purification. Rather, water had become more expensive. Bulk water tariffs had been proposed under the influence of the probable rates of economic indicators as forecast by accredited institutions in the country for the 2018/19 period. The Department provided the Committee with the 2018/19 tariffs for the nine Water Boards. There was some concern by the Department that most Water Boards would not have sufficient funds for adequate capital expenditure. The Umgeni Water Board was the only one that would remain highly profitable even during its capital investment programme because of the high net profit margin of 20.6% which was well above benchmark to other Water Boards. The Lepelle Water Board was proposing a tariff which was higher than inflation and the Magalies Water Board had taken a decision to implement a uniform tariff for all their clients which was a departure from the scheme-based tariff. It was a concern that Mhlathuze was not proposing a drought tariff even though in previous years users had exceeded the abstraction volumes. The tariff proposed by Overberg Water Board would not cover all their costs due to the drought. The Rand Water Board briefed the Committee on the War on Leaks Programme. The Board also advised the Committee that it was facing challenges in implementing the programme. Major concerns were that the programme budget was currently overspent and outstanding payments had impacted negatively on delivery of the programme. The Department of Water Affairs had not been budgeting for the programme and funds had been drawn from the Rand Water Board funds. Service providers and learners had frequently not been paid. Learners who did complete their courses had been unable to find mentorships or learnerships and therefore could not be awarded their certificates. Only 67% of the required personal protection equipment had been supplied. The time for implementation of Phase One of the programme had been too short. The Rand Water Board recommended that consistency with regard to the payment of programme funds should be maintained and that the Department of Cooperative Governance and Traditional Affairs should assist with enabling placements of learners at municipalities. The Energy and Water Sector Education and Training Authority (EWSETA) briefed the Committee on the War on Leaks: Phase One and Two. The EWSETA reported that certificates had been awarded to learners who had completed the Water Conservation and Water Demand Management Skills Programme, the Water Agents Skills Programme, and 47 artisans with respect to apprenticeship training in Phases One and Two. Learners had been recruited from priority municipalities. Challenges faced by the EWSETA included delays in payment, learners absconding from work places and unruly behaviour of learners. Learners were not always recruited because they were seen as a threat to existing labour force. Members raised their concerns that documents had not been submitted to the Committee before the meeting for Members to have enough time to study the documents and they felt that the Department might not have covered all issues they had been requested to address. 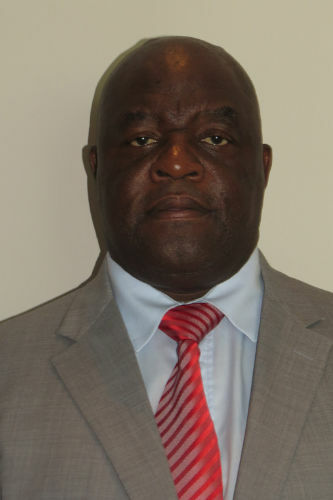 Members were unhappy that the Minister of Water Affairs apologised for the lateness of documentation in the absence of the Director-General, stressing that the Minister was not the Accounting Officer. Members asked why the Department was not financing the War on Leaks programme and why training graduates were not being retained by municipalities. How did the Department expect the work to be completed without funding? What were learners promised when they had finished? How was the Department going to deal with leaks? Was the Department tracking the programmes? Was there a mechanism to monitor those who had completed their studies? Were those graduates being utilised to deliver services? Was there a legal contract between the Rand Water and the Department and between EWSETA and the Department? The Minister expressed his concern that water leaks were not responded to in the same way in all parts of the country. He compared the lack of response to leaks in rural areas with the rapid response to leaks in urban areas. Municipalities ought to come onboard. The War on Leaks programme should be incorporated fully in the Department. When one conceptualised a programme like that it should be inclusive in all ways possible. When the programme had been introduced, some stakeholders had not been consulted. The main stakeholders were municipalities and COGTA. He was scheduled to engage with municipalities and he would ensure that they came onboard. He added that perhaps the Department should be reconfigured. He commented that there was a need to ensure that the issue of leaking water was addressed, and that used water was processed to be re-used. The Chairperson requested that additional financial details be provided to Members. He remarked that all issues communicated to the Minister had been attended to by the Department and other presenters. 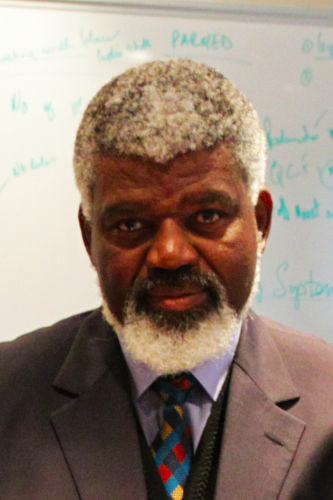 The Chairperson opened the meeting noting that documents from the Department had been submitted on the day of the meeting, making it difficult for Members to engage with documents and put questions to the Minister Gugile Nkwinti and his senior officials accompanying him. The work of the Committee was not being taken seriously. The Minister said that he would take full responsibility since he had received the documents the day before but had thought that they had been submitted to the Committee. He apologised on behalf of his officials. Mr P Chauke (ANC) interjected. He said that the Minister was not the Accounting Officer and thus he could not apologise. He should not make that mistake. The Accounting Officer should account and explain to the Committee why the documents were not submitted on time. An Accounting Officer knew the rules of Parliament. The Accounting Officer had denied Members their right to prepare themselves and engage with the reports. Members would not be able to interrogate the information. An apology could therefore not be provided by the Minister. An explanation on late submission could not be expected from the Minister. As whip of the ANC in the Committee, he could not allow that to happen. He said that he had been, on the day before, in another meeting where there had been the same issue. He stressed that it should not be allowed to continue. He was not sure whether the submissions spoke to issues raised in the letter sent to the Minister. The Chairperson agreed with Mr Chauke’s remarks. He stated that it was an ongoing issue that the Committee had dealt with for a quite long time. Members received submissions in a meeting and they felt that the Department should go away and come back when Members had been given an opportunity to engage with submissions. Parliament had been (and continued to be) undermined by the Department. That was what could be drawn from the submission of documents on the day of a meeting. It appeared that Parliament was taken for granted. The Department felt it was fine to just walk in with documents, speak, leave and then continue with their work as usual. That was taking Members for granted. The issue was not personal. Members and officials were not friends. Neither were they a family. Members had work to do. The communities had sent Members to Parliament as their representatives and the communities were their supervisors. If officials were going to treat Parliament as they had been doing, there would be consequence management. It was a serious issue that Members were dealing with. The Minister might say that Mr Chauke was wrong in insisting that he should not apologise on behalf of his officials, but Mr Chauke was right. The Minister said that the presentations spoke to the two things the Chairperson had summarised. He also said that he had apologised. The Chairperson said that Mr Chauke had indicated that the Minister could not account. It was the Director-General who ought to account. The Minister responded that the Director-General was not a part of the delegation as he had been booked off sick for two days which was why he was apologising on behalf of the Director-General. The Acting Director-General would apologise. He agreed with Mr Chauke’s comments. He apologised because he wanted to take full responsibility and because the Director-General also accounted to the Minister. Members should understand that the Minister could take such responsibility because they were his officials in his Department. Mr Chauke objected. The Minister could not take full responsibility when issues related to administration. It was not the Minister who should have submitted documents to the Committee. What the Committee was doing was empowering the Minister to have responsible officials. It was the Director-General who accounted to the Committee as the Accounting Officer of the Department. It was the Director-General who knew when and which documents should be submitted to the Committee. In that respect, the Accounting Officer ought to take full responsibility and explain why Parliament should receive documents at that point. The meeting would not proceed if no clear and reasonable explanation was given. If the Director-General was not present, there was a person acting as the DG. That person ought to speak. That would help the Minister to understand the issues they were dealing with. The Minister said that Acting DG was Ms Zandile Makhathini. Ms Makhathini said that the DG was off sick. She said that documents had been ready by Friday and she understood that the documents had been submitted on time to Parliament. She said that she agreed to take full responsibility. Mr D Mnguni (ANC) proposed that due to the explanation from the Acting DG, the meeting should continue. It was not right that the Minister be sent back because officials did not conform to Parliamentary rules. Rather, a request should be made to the Minister to show commitment, including making sure that all protocols were complied with. Minister should know that it would be difficult for Members to hold officials to account when they had no information. That should not happen again. 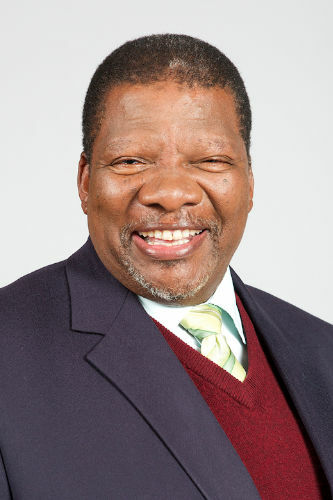 Mr E Kekana (ANC) supported Mr Chauke’s comments that the Minister should not take full responsibility simply because the Minister had inherited a Department that was in a total mess. Members were aware of that. He wondered if the Minister should take full responsibility for all the issues haunting the Department. The Chairperson cautioned Members that the discussion on late submission of documents had taken 15 minutes. He noted Mr Mnguni’s proposal that the Department should not be turned away. However, it was important for the Committee to know who was responsible for the late submission. Who was responsible to do what? Or who was expected to do what? Or who should take full responsibility? It was no one else but the DG. The Minister should not take comments and inputs from Members lightly. The Minister commented that he was present because he wanted to respond to issues that had been raised in the letter sent to him. On the day before the meeting, he had had a meeting with stakeholders in which they had spoken about the same issues. The presentations spoke to those issues. The Acting DG would take the Committee through the presentation and explain fully what the Department wanted to achieve. The Chairperson remarked that he wanted to check with officials whether all issues had been covered in the presentations simply because, in the last meeting, the Committee had asked the Department to respond to a number of issues. Those issues were also communicated in a letter sent to the Department. The letter had been signed by the Chairperson. The Minister responded that he was sure that they would respond to all issues. He was prepared in accordance with what was in the letter and now it seemed that he was just being humiliated. He did not know that issues such as a delayed submission or a letter sent to the Department would be arising. He was present to respond to the letter which he had with him. Mr Kekana said that he heard what the Minister was saying. However, he recalled that in their last meeting the Committee was emphatic that the issues raised in that meeting would be discussed. For the sake of public interest, the Committee requested the Department to come prepared to answer all questions that had been asked. There were a number of questions that Members had to ask as Committee and they ought to get answers from the Department. The Chairperson said that it looked as if the Department was not ready to respond to those issues. He, therefore, stated that the Department should respond to those issues in writing for the sake of making progress. Mr Kekana agreed and commented that there should be a compromise for the sake of giving an opportunity to the Minister to brief the Committee. The Chairperson said that that should not happen again because the Committee could not get stuck for almost an hour discussing unnecessary and irrelevant issues. The Department should come prepared and comply with all protocols. The Minister said that reports would be presented by the Department of Water Affairs, Rand Water Board and EWSETA. Ms Makhathini, Acting DG, took the Committee through the presentation. 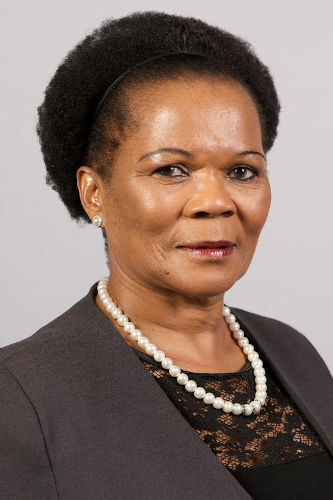 With reference to the process followed in respect of water tariffs, she reported that in August 2017 the Department had engaged with nine Water Boards to prepare the 2018/19 tariff cycle. In September and October 2017, the Department had conducted pre-tariff consultation sessions with the Water Boards, after which they had consulted other stakeholders. The Water Boards had consulted with municipalities and SALGA and National Treasury were involved. All Water Boards had submitted their proposals to the Minister by 25 January 2018. The country faced a devastating drought which had disadvantaged everyone. Ms Makhathini stated that the shortage of water had inflated the prices of food but had not reduced the fixed costs of purification. Rather, water had become more expensive. Bulk water tariffs had been proposed under the influence of the probable rates of economic indicators as forecast by accredited institutions in the country for the 2018/19 period. Ms Makhathini provided the Committee with the 2018/19 tariffs with respect to the Overberg, Amatola, Umgeni, Rand Water, Mlhathuze, Broem, Lepelle Northern, Magalies and Sedibeng Water Boards. She also underscored the 2018/19 recommended tariffs. 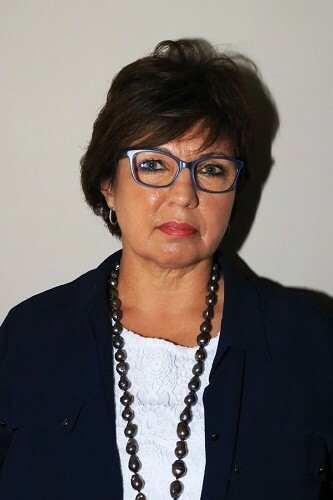 She stated that, for 2018/19 financial year, Amatola Water was to spend R2.8 million on capital expenditure which accounted for less than one per cent of the total cost and was fairly low for their capital assets development. The Rand Water Board’s proposed tariff was R9.35 after factoring in NERSA’s late approval for a lower electricity tariff which had reduced their total costs to R12.1 billion. The Lepelle Northern Water Board was proposing a tariff which was higher than inflation in order to cater for their expenses as the Board had a number of projects planned. However, the tariff did not provide for all future capital requirements and long-term sustainability. The Umgeni Water Board would remain highly profitable even during its capital investment programme because of the high net profit margin of 20.6% which was well above benchmark. It was a concern that Mhlathuze Water Board was not proposing a drought tariff for the 2018/19 financial year because in previous years the users had exceeded the restricted abstraction volumes. The Magalies Water Board had taken a decision to implement a uniform tariff for all their clients over a period of time which was a departure from the scheme-based tariff which implied that each scheme was charged a unique tariff-based on the cost associated with that scheme. For Sedibeng Water, the proposed tariff revenue had not been allocated efficiently. The projected water losses from 2018/19 were higher than the industry norm for bulk water production at approximately 6% to 8% of operational losses. That was expected to improve with the rehabilitation of the bulk pipelines. For the Overberg Water Board, the proposed tariff would not cover all their costs. Due to the drought, there was a vast difference between the business plan and the tariff proposal. Ms Wayida Mohamed, Strategic Human Capital Executive, took the Committee through the presentation which focussed on the Rand Water Board’s appointed service providers, trainee recruitment and headcount, trainee placement status and update and the personal protective equipment (PPE) status. She briefed the Committee on the War on Leaks (WOL) trainee contracts status, programme finance, challenges and recommendations. At national level, the number of people trained and recruited stood at 10 366 and the total headcount was 9 437 as at February 2018. With regard to placement trainees, the WOL phase one and two trainees had been placed at both public and private host organisations within each province with a view to acquiring their work place training so that they could qualify as water agents and artisans. Some of the phase one trainee placements had been delayed for political reasons as well as a lack of accredited workplaces to host learners for work place experiential training. Therefore, the contracts of the affected trainees would have to be extended. The Rand Water Board had appointed Khula Nonke, Entsika and Ebony & Ivory to capacitate the placement of WOL phase one to three. At national level, 77% of trainees had been placed. With regard to Personal Protection Equipment (PPE) distribution status, Ms Mohamed stated that the grand total of targeted distribution was 4 418 of which 67% had been achieved. In that respect, there was a note of consideration. It encompassed three aspects: (i) Rand Water was in the process of concluding the PPE procurement process which would ensure that all trainees would be in possession of two sets of PPE at all times; (ii) in an effort to accelerate the distribution of the required PPE, an emergency PPE stock compromising 3000 sets was procured by Rand Water in October 2017; and (iii) the outstanding distribution of the 1 552 PPE sets would be concluded by the end of April 2018. Most of the programme activities had been curtailed due to financial constraints. Ms Mohamed spoke about challenges. She maintained that the time given to implement Phase One was too short; the programme budget was currently overspent; the outstanding payment had negatively impacted on delivery of the programme; the PPE stock was not adequate to meet the required PPE distribution to all trainees nationally. The delayed finalisation of the WOL trainees was another challenge. She concluded her presentation by recommending that consistency with regard to the payment of programme funds should be maintained; the Department of Cooperative Governance and Traditional Affairs (COGTA) should assist with ground work (i.e. enabling placement) at municipalities. 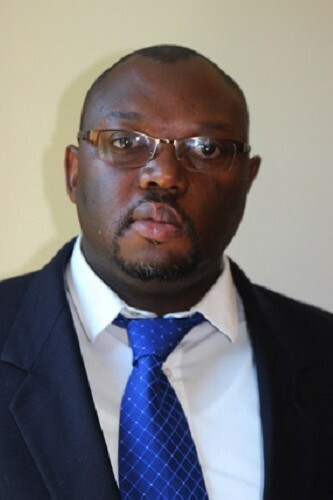 Mr Inoleg Molele, Chief Operations Officer, EWSETA,fd took the Committee through a presentation which focussed primarily on programme highlights and successes, the WOL project overview for Phase One and Two, challenges and achievements. A special area of focus was learner placements and achievements to date and service providers appointed to ensure the success of the project. He reported that certification was awarded to 2 548 learners with respect to the Water Conservation and Water Demand Management Skills Programme, 905 learners with respect to the Water Agents Skills Programme, and 42 artisans with respect to apprenticeship training. In the context of phase two, certificates were awarded to 932 learners with respect to Water Conservation and Water Demand Management Skills Programme and five artisans with respect to apprenticeship training. Learners were recruited from priority municipalities and 36 and 49 Skills Development Providers were appointed for Phase One and Phase Two respectively. After completion of institutional training learners underwent workplace training and apprentice artisans went through trade test preparation and wrote a trade test. The last stage was certification and the exiting of learners from programme. Mr Molele stated that the Phase One Programme on War on Leaks had 3000 learners, the Water Agents Skills had 1000 learners, the Water Conversation and Water Demand Management Skills Programme had 3000 learners; and there were 2000 apprenticeship learners. Learners of Phase two programme was as follows: the Water Conservation and Water Demand Management Skills Programme had 7000 learners; the Water Agent Programme had 3 891 learners; and the Apprenticeship Training Programme had 3089 learners. Mr Molele said that challenges included the delay in payment that had caused disruption in different places. Unpaid stipends brought high levels of absenteeism; unpaid or delayed payment had an adverse effect on service providers and motivated a reluctance of municipalities to absorb learners. Challenges included absconding from work places, unruly behaviour of learners, and learners were seen as a threat to the existing labour force. The Chairperson remarked that the Committee’s position on the Department was that it should first fix and maintain the existing infrastructures. There was a shortage of water that the Department had to look into. Mr Chauke said that he thought that the presentations would touch on financial performance. Ms Mbali Manukuza, Chief Financial Officer, stated that the Department had briefed the Select Committee on financial performance the day before the meeting. That information could be provided to the Committee. Both the Rand Water and EWSETA had raised the issue of funding. There was outstanding money that had not been paid. Non-funding brought distress to the operations. The War on Leaks project had been introduced in 2015. Normally, the Water Trading Entities generated their own revenues and therefore the National Treasury did not fund them. In the 2016/17 financial year, the Rand Water Trading Entity had an overdraft of R2.6 billion. They had submitted a plan to National Treasury on how the R2.6 billion overdraft could be reduced to zero. There were four projects and the War on Leaks was one of those projects. That was where the challenges began. The project had been transferred to the Water Trading Entity main account. The project was transferred without being budgeted for. Mr Chauke asked where information was being drawn from. Ms Manukuza, referred the Committee to slide 18 of the Department’s presentation and noted that she was adding further information. She said that the funding was a problem and that it was premature to state whether the Phase Three would be undertaken. The Chairperson asked whether the CFO’s additional information was available and requested that copies be printed and distributed to Members. He further said that the entities should make payment within 30 days of receipt of invoices. He further commented that the Minister was talking about repairing infrastructure without involving municipalities. How was the partnership with municipalities and COGTA to be developed? The Department should not forget that it was taxpayers’ money and should thus ensure that there was a sound plan to implement priorities. Mr Mnguni said that he was covered. Every entity submitted its programmes along with their budgets to the Department, but the Department did not allocate funds to those programmes. Entities consequently had no funds. There should be a strategic plan to ensure funding was available. He referred to problems in 2016, when companies had not been paid and trainees had not received their certificates. The Department could not take so long to take pay accounts. What were they promising learners when they finished? How were they going to deal with the leaks that were there? Was the Department tracking the programmes? The plans looked good but there was no service delivery. If the Committee went on impromptu visits, Members would find chaos there. Did Rand Water Board have a contract with the Department? Mr Mnguni reiterated that every entity that came to the Committee had provided the Department with a plan for funding its programmes. How did the Department expect the work to be completed without funding? It had been indicated that since the introduction of the War on Leaks Programme in 2005, the programme had not been funded. It was not expected to be funded in the 2018/19 financial year. Moreover, many learners were trained to be artisans and some were retained. Those who were retained were not paid. For a year and half, they had not received their payments and as a result they had not been working. Learners and artisans were not being recruited by municipalities. How long did it take to study plumbing? The Rand Water had a short-term course whereas the EWSETA had a long-term course. What was difference between those courses? Were graduates being recruited or retained? Was there a mechanism to monitor those who had completed their studies? Were those graduates being utilised to deliver services? Was there a legal contract between the Rand Water and the Department and between EWSETA and the Department? Ms M Khawula (EFF) asked what had happened to the trained plumbers. She commented that employees in KwaZulu Natal were not being paid. Unemployed graduates were compared with people who went into exile and studied there and returned with degrees, but without work. Learners were trained to be placed and assist to deliver services. She asked for clarity on companies that were providing training to learners, especially, owners of those companies. She further remarked that the leaking of water was very bad in townships. However, there was nothing being done. Reports on the situation in the township were misleading. Mr Chauke remarked that the Department should intervene and ensure that entities were funded. They should also fund a research unit to make sure that they got all the required information. It was very unfortunate that the Department was saying that there were no funds. The former President Jacob Zuma had initiated the War on Leaks projects. There had been no report to the Office of President to state that that project was not funded. He proposed that the Committee should make its own report on the War on Leaks programme status and submit it to Parliament with their recommendations. He felt that there should be an inquiry into the programme. For the last three years, no report had been submitted to the President. There was a need to avail documents and the contracts to the Committee so that they could find where the problem was and who should be held accountable. The Committee should find a way in which good answers could be obtained. The Chairperson wondered what the proper way would be to run the War on Leaks programme in order to help municipalities. The Minister expressed his concern that water leaking was not responded to in the same way in all parts of the country. He compared a rural response and an urban response. When he was in a rural area to visit his brother, he passed leaking water and no one cared about such leaking. When he went to attend a meeting in Rondebosch, he passed leaking water and people were busy responding to the leak. He agreed that there was no response to leaks in townships and rural areas. Issues of water leaking should be responded to by municipalities. Municipalities ought to come onboard. The War on Leaks programme should be incorporated fully in the Department. When one conceptualised a programme like that it should be inclusive in all ways possible. When the programme had been introduced, some stakeholders were not consulted. The main stakeholders were municipalities and COGTA. He said that in his next meetings he was scheduled to engage with municipalities and he would ensure that they came on board. Ms Makhathini remarked that slide 21 of her presentation illustrated the way forward. The problem was that there was no funding. The funding was needed to complete the remaining phases. Perhaps, the Department should involve COGTA, as well as the Department of Higher Education and Training. The programme was created to educate and train people. She noted that mistakes had been made but the Department was committed to rectifying those mistakes and ensuring that the programme was taken forward. She said that there was a tripartite agreement signed between the Rand Water and EWSETA and the contract could be submitted to the Committee. She noted that the Department had made efforts to bring provinces and municipalities onboard. However, municipalities faced certain challenges. Learners needed to be absorbed into the existing work force; they needed internships. They needed mentors to qualify. Learners were not awarded certificates if they had not undertaken an internship or mentorship programme. For the success of the War on Leaks project, several Departments had been engaged to be partners. The Departments included COGTA, Higher Education and Training, Energy, Public Services and Correctional Services. Mr Molele added that learners were exposed to three different courses. There were courses of three months, six months and 12 months. Subjects differed depending on the period of study. Those studying to become artisans had to study for full three years. He agreed that they faced a challenge in placing graduates, hence those to be placed were not receiving payment. The EWSETA reported to the Department of Higher Education and Training. They followed the same standards. the EWSETA’s mandate was to train and develop skills components and was not about ensuring that graduates were employed. They had established software that would work like WhatsApp that would be used to monitor learners upon leaving school. Ms Mohamed, referring to oversight, responded that all regions were coordinated and that the Rand Water Board was a party to the tripartite agreement. The Chairperson remarked that the Department needed to be reconfigured and to ensure all programmes were integrated. Proper planning was necessary. Certain programmes were not being reflected in the Annual Performance Programme and therefore no funds were allocated to them. From a policy point of view, that was problematic. The Minister said that the Chairperson was right to say that the Department should be reconfigured. He commented that there was a need to ensure that the issue of leaking water was addressed, and that used water was processed to be re-used. Ms Pam Tshwete, Deputy Minister, remarked that she was of the view that the presentations had covered all aspects that the Committee asked them to talk about. The Chairperson said the main question remained was whether the War on Leaks Programme was part of the APP 2018/19 and whether it was budgeted for. Ms Makhathini responded that the programme was part and parcel of the APP but it was not budgeted for. The Department was requesting assistance from the Committee to get more funding. The Minister said that he should be given more time to deal with issues in the Department. It looked like he had come in at the wrong time. More time was needed on his side to find a way of addressing the inherited problems. Inkosi R Cebhukulu (IFP) said that, hearing what EWSETA had said in its presentation, it appeared that the stipend was not provided if learners did not attend. Was the stipend paid as a motivation? He felt that the Department should have a national plan to deal with the leakages. Water was being wasted through leakages. Mr Mnguni commented that when the President said that something should be done, it needed a proper planning for implementation. One could not just execute what the President said. What was clear to the Committee was that things were not going well within the Department. It was like having foot soldiers who did not have ground to walk on. Although the Department claimed that there was no money, plumbers ought to be paid. Those people were expected to be at work and not sitting at home. They could not be trained to complete their studies and just stay unemployed. There should be value for money. What he was expected to hear was a report stating the number of trained learners (inputs) and those graduates who were employed (outputs). The statistics could tell Members how many learners had dropped out from training and why. The Chairperson remarked that all issues communicated to the Minister had been attended to and it was all-important to be advised on a way forward. Major areas of concern were twofold: payment of plumbers and retention of trained learners. The main question was how taxpayers’ money could be spent on training someone to undertake a particular programme and upon completion of training, the person was not retained to do what he or she was trained for. In certain instances, someone else snatched those learners to work for him. Another concern was the question of ensuring that receipts were paid within the prescribed period of 30 days.